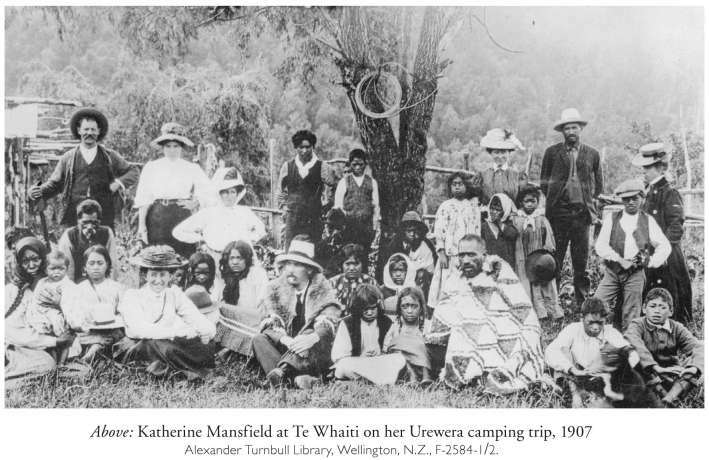 Katherine Mansfield is New Zealand's most beloved author. During her fascinating, tragic life, her path became intertwined with D.H. Lawrence and the fascinating Virginia Woolf. Unfortunately, despite her literary brilliance, Mansfield's life was plagued with isolation, sickness, envy, spite, and estrangement. Her many hardships transferred themselves into her writing where she excelled at depicting bitterness, and marital problems with her middle-class characters. Katherine Mansfield was born into an affluent banking family. She spent her early years in Karori, a village a few miles from Wellington, New Zealand where she spent several happy and tranquil years. As she became school-aged, she attended a private girl’s school and later was sent to London to attend Queen’s College. There she studied French, German and music, and began writing prose and poems and took a liking to the exciting lifestyle. She returned to Wellington, defiant and troubled even though she led a comfortable and socially rich life. But she found her parent’s watchfulness too overbearing Wellington hopelessly boring and backwards. Bored, she rebelled and spent her days writing out her complaints and having affairs with both men and women. She took a wild adventure into remote Urewera country in the middle of the North Island. Bored and unhappy, she conspired with her lifelong friend Ida Baker who persuaded Mansfield's father to allow Katherine to move back to England, with an allowance of £100 a year. There she devoted herself to writing and never returned to New Zealand again. Once back in England, she became sexually reckless and promiscuous. Almost immediately, she fell in love with Garnet Trowell, a young violinist whose father had once taught her the cello in Wellington, but their love did not last. When it ended, she rebounded and married G.C. Bowden, but left him the day after their wedding. She returned to Garnet and travelled with his opera company. Soon she became pregnant, and shortly thereafter, left him and ran to her friend, Ida Baker, a school chum. Katherine’s mother suspected their relationship was not a “healthy” one and swept her pregnant daughter to Bavaria for a water cure to heal her from whatever ailed her. Katherine gave birth to a stillborn child and remained in Germany several more months. She met a Polish writer and swindler named Florian Sobienowski. On her return to London, Mansfield became ill with an untreated sexually transmitted disease she contracted from Floryan Sobieniowski; a condition which contributed to her weak health for the rest of her life. 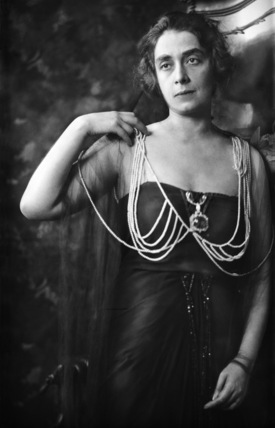 Sobieniowski would later blackmail her with letters she wrote during this time. Katherine found herself in new literary circles and met the clever and gifted John Middleton Murray who came from the lower-middle-class. Soon, she discovered she had tuberculosis. Within weeks of meeting, Mansfield and Murry became lovers, moved in together, and both began to write voraciously. 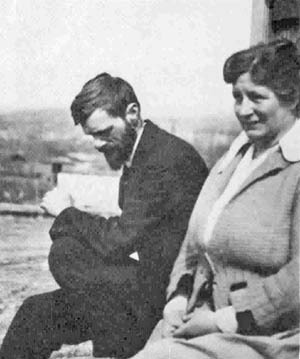 They became friends with author, D.H. Lawrence and Frieda Weekley, acting as witnesses at their wedding, but their relationship with the couple became troubled and intense. Upon learning that Murry had an affair with the Princess Bibesco, Mansfield objected not to the affair but to the woman’s letters to her husband: "I am afraid you must stop writing these love letters to my husband while he and I live together. It is one of the things which is not done in our world." 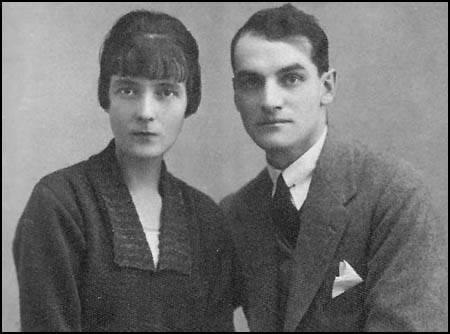 Katherine and John Murry tried to move to Paris, but Murry was forced into bankruptcy when his journals failed. During this difficult time, they were forced to move often and lived on paltry earnings. Katherine Mansfield had a close friendship with author, Virginia Woolf that lasted many years. Katherine spent her last years travelling between southern France and Switzerland, being treated for her tuberculosis. In one treatment, she laid for several hours a day on a platform suspended over a cow manger in order to breathe the odours. But the treatment, like many others, failed. Desperately alone and sad, she wrote. At times, her illness made her malicious and cold. 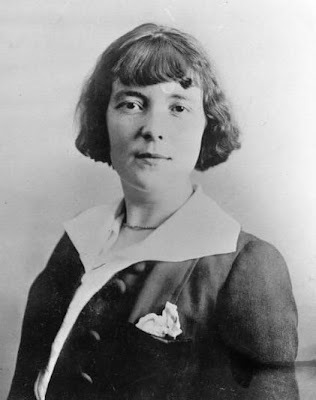 Katherine Mansfield died of a pulmonary hemorrhage on January 9, 1923, in Gurdjieff Institute, near Fontainebleau, France. Her last words were: "I love the rain. I want the feeling of it on my face." "In Pursuit . 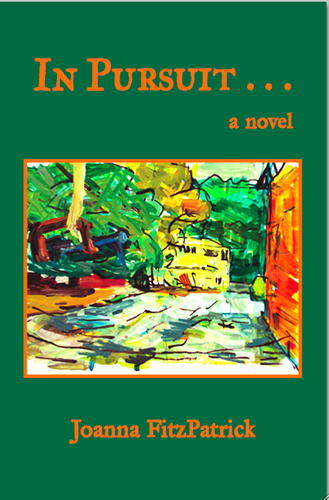 . ." reinvents the life of Katherine Mansfield (1988-1923), the modernist writer who revolutionized the short story, created the only writing Virginia Woolf was ever jealous of, and was consumed by tuberculosis at thirty-four. Intertwined into the story are Katherine's letter and journal writings that reveal her volatile relationships with her husband, her caregiver Ida, and her extraordinary passion for life as she fights against a disease that saps her energy and steals her time to write. The story begins in London where Mansfield has married her long-time lover John Middleton Murry. Soon after, on her thirtieth birthday, she is diagnosed with tuberculosis and told she has a few years to live if she stops writing, moves to a sanatorium, and promises to live a quiet, passive life. Too young for such a prognosis she attempts a home cure that fails. Then, a wandering consumptive with a fierce grip on life and her writing tools, she travels from London to Paris, to the Riviera and to the Alps in pursuit of a cure, not only for herself, but through her work, perhaps, for others. "In Pursuit . . . The Katherine Mansfield Story Retold" is an absorbing tale of desire, impermanence, and atonement. A haunting exploration of one woman's powerful determination to live a full and challenging life in spite of the limitations forced upon her by illness. Thoroughly researched, author Joanna FitzPatrick has recreated the life of Katherine Mansfield with all her troubles, failures, successes, and wildness. She poignantly depicts Mansfield's brilliant career as a beloved author as she struggles to overcome a threatening illness that impeded her writing and tore her marriage apart while fueling her depedence on loyal friends and loves. Reading this book introduced me to the life and works of Katherine Mansfield and encouraged me to search out the work of this famous, most brilliant author. Joanna FitzPatrick has penned a thorough biography depicting the life of the passionate Katherine Mansfield. I love Katherine Mansfield and was totally unaware of this new book about her -- I must get it!! 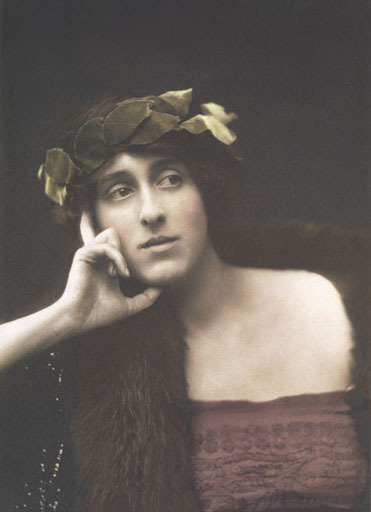 Please note that the photo near the end of your writing is one of Vita Sackville West, not Virginia Woolf. Otherwise, interesting information.